Bennie Lucille Brooks, age 89, of Jasper, Georgia passed away February 1, 2019 at Brookdale Assisted Living in Maryville, Tennessee. 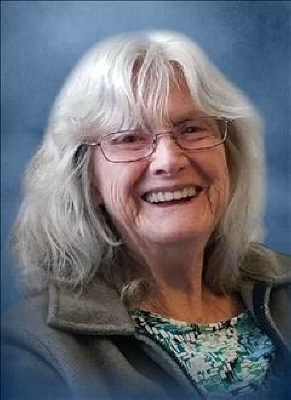 She is survived by her daughters and sons-in-law, Linda and Mark Duncan of Jasper; Denise and Duane Buckles of Maryville, Tennessee; grandchildren, David and Amanda Duncan of Jasper; Danny and Cheryl Duncan of Jasper; Teresa and Eric Dyer of Jasper, Fonda Roper of Ball Ground; six great-grandchildren; sisters, Martha Davis of Jasper; Lucy Vandoran of Woodstock; and several nieces and nephews. Mrs. Brooks was preceded in death by her husband, Grover James Brooks; and sons, James Brooks and Alan Brooks. Funeral Services will be 11:00 a.m., Monday, February 4, 2019 at Corinth Baptist Church with Reverend Richie Gibbs officiating. Interment will follow in the church cemetery. The family will be receiving friends at Roper Funeral Home Sunday, February 3, 2019 from 11:00 a.m. until 9:00 p.m.
To send flowers or a remembrance gift to the family of Bennie Lucille Brooks, please visit our Tribute Store. "Email Address" would like to share the life celebration of Bennie Lucille Brooks. Click on the "link" to go to share a favorite memory or leave a condolence message for the family.